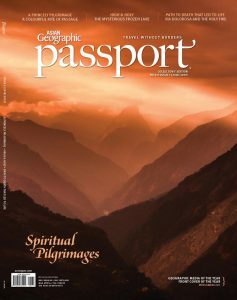 Explore Samarkand and Bukhara in untouched Uzbekistan. 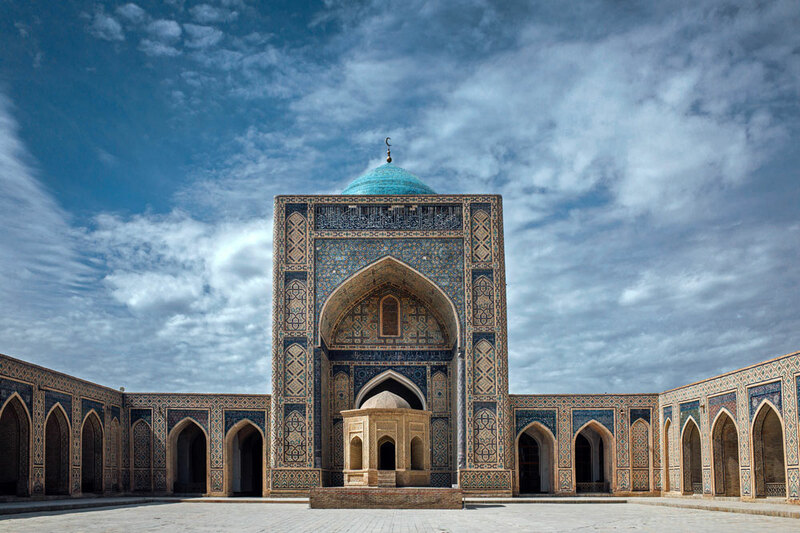 A crossroad of cultures and a centre for Islamic scholarly study, Samarkand boasts a history going back hundreds of years. Bukhara, a World Heritage Site, has over 140 architectural monuments waiting to be explored. 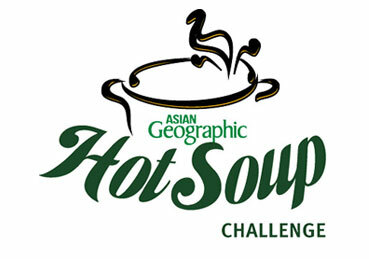 All participants will need to arrive at Tashkent International Airport by 17h00 local time, after which we will transfer to the domestic airport to catch a flight to Urgench in the western region. 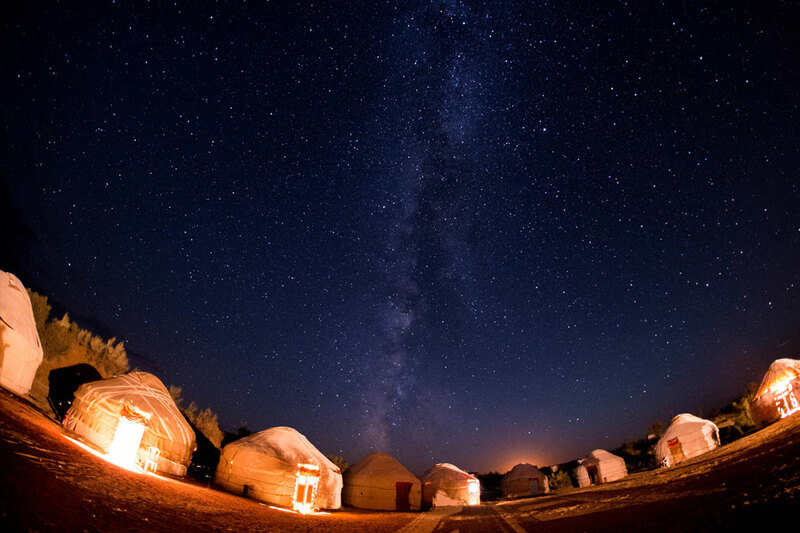 We will overnight in Khiva. 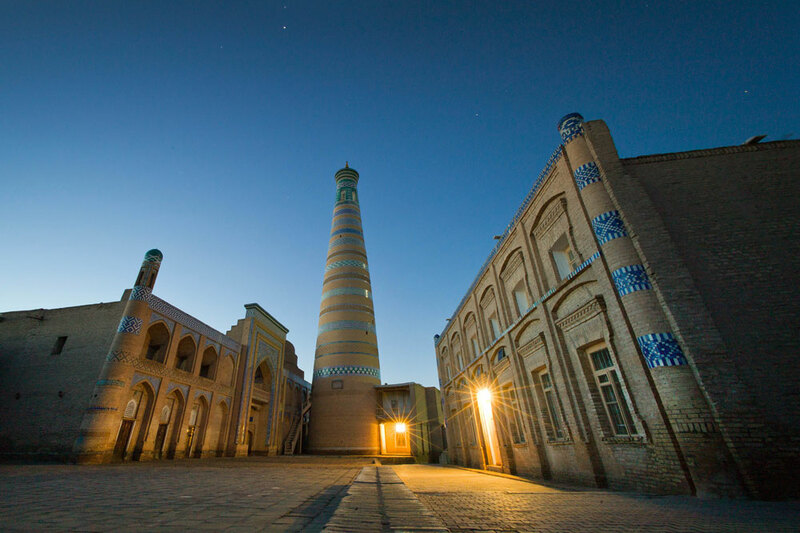 Our route starts in Khiva, a city of museums with extensive history. We will spend the whole day in the Itchan Kala Fortress, which is a UNESCO World Heritage Site. Narrow streets, carved “ayvans”, scenic verandas and doorways, and majestic minarets and mausoleums make this city a spectacular national treasure. We will overnight at Khiva. The Silk Road went through Bukhara and Khiva and then on through the Kyzylkum Desert. Before departing for Bukhara, we will explore Itchan Kala at daybreak and then visit one of the busiest morning markets. We will stop en route to enjoy views of the Amu Darya River and the desert. We arrive in Bukhara late in the afternoon. 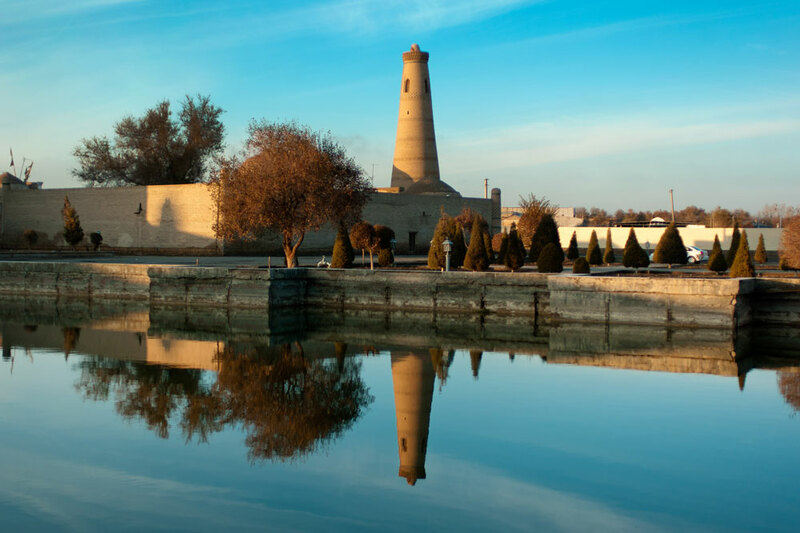 We spend a day exploring the historic centre of Bukhara. Located on the Silk Road more than 2,000 years ago, Bukhara is a centre of trade, scholarship, culture, and religion. The UNESCO World Heritage Site is one of the most complete examples of a medieval city in Central Asia today. 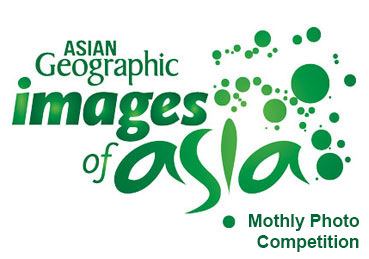 We will enjoy an authentic local Uzbek meal, and overnight in Bukhara. We depart for Samarkand with another local lunch arrangement in a traditional Uzbek home. 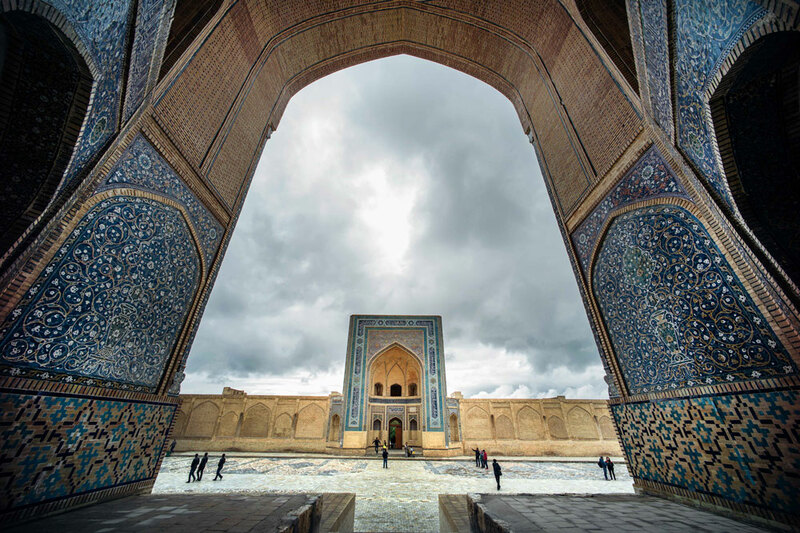 Samarkand will be a definitive highlight for photographers, who can capture the beauty of the Shahi Zinda Mausoleum Complex. We will also visit the tomb of Qusam Ibn Abbas – a cousin of the Prophet Mohammad who was instrumental in the Islamic history of Central Asia. We overnight at Hotel Platan Samarkand. We pay a morning visit to the Bibi Khanoum Mosque, which was built in the 14th century, as well as a nearby market. 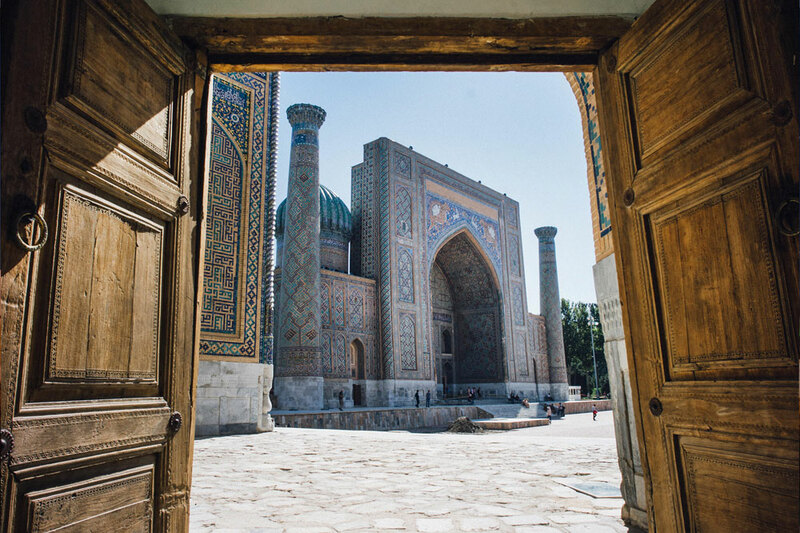 We enjoy another local lunch arrangement with a traditional Uzbek meal, and then visit Registan Square, which is at the heart of the ancient city of Samarkand (which was part of the Timurid Dynasty). We will transfer to the train station for the express train to Tashkent, and overnight there. We will then run an excursion through the old part of the capital city, visiting the religious complex, Khasti Imam, and the Muy-Mubarak Mosque, which houses the well-known Qur’an of Khalif Osman. By noon, we will transfer to the airport to take our respective departures home.